The Ice Caves are an incredible formation and are a fascinating hike. The problem is that this area has become very busy recently and parking is very challenging, and the route to the Ice Caves is not a scenic hiking path but a road trail full of people and exposed in the sun. 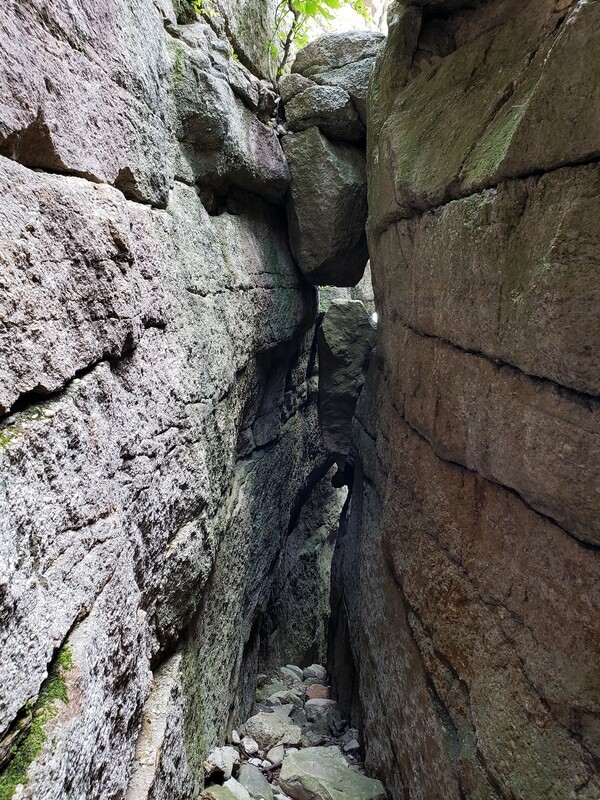 However, the Ice Caves are still well worthwhile despite this. We arrived at the parking area late morning, and the area was very busy and they were turning cars away because the parking lot was full. 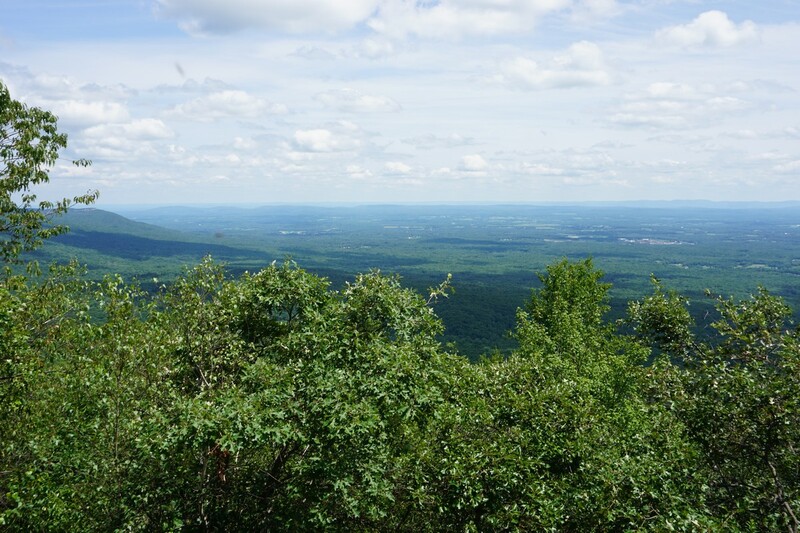 On a nice summer weekend, it's very important to get here early otherwise they will turn you away! 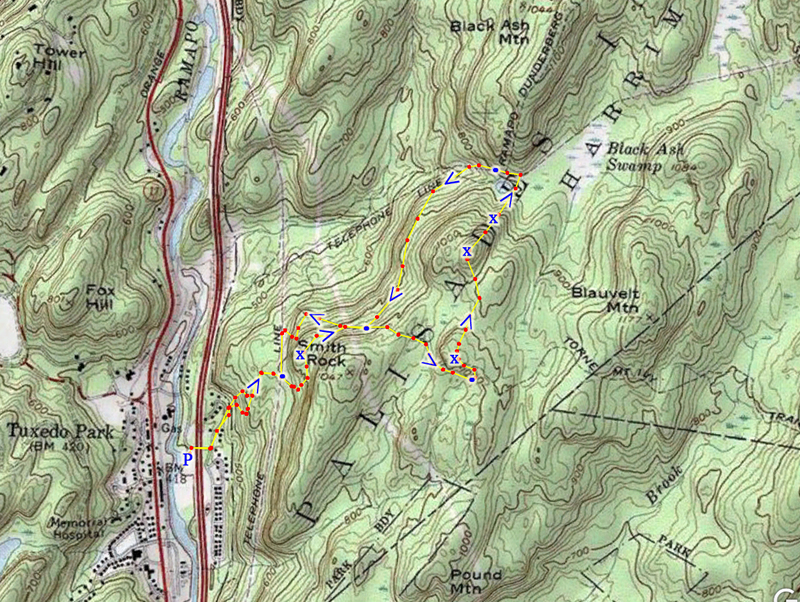 The park system really needs to expand the parking situation as well as build some more trails in the area. 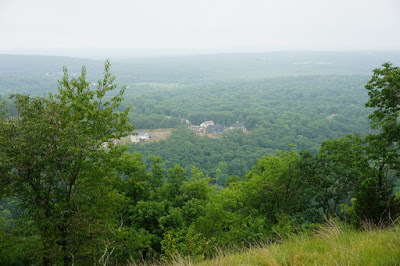 We were lucky because a car was pulling out when we arrived and they let us in. Parking is $10, and can be paid with the parking machines. 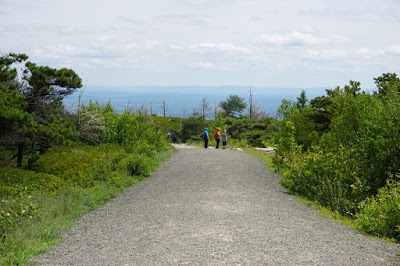 We took the Sam's Point Road, a wide path full of people, towards Sam's Point. 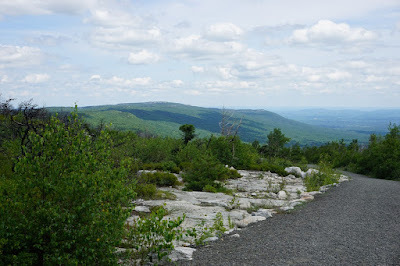 The switchback that I usually take had a sign in front of it discouraging foot use. I don't know why they care if people use this shortcut and was annoyed about this. 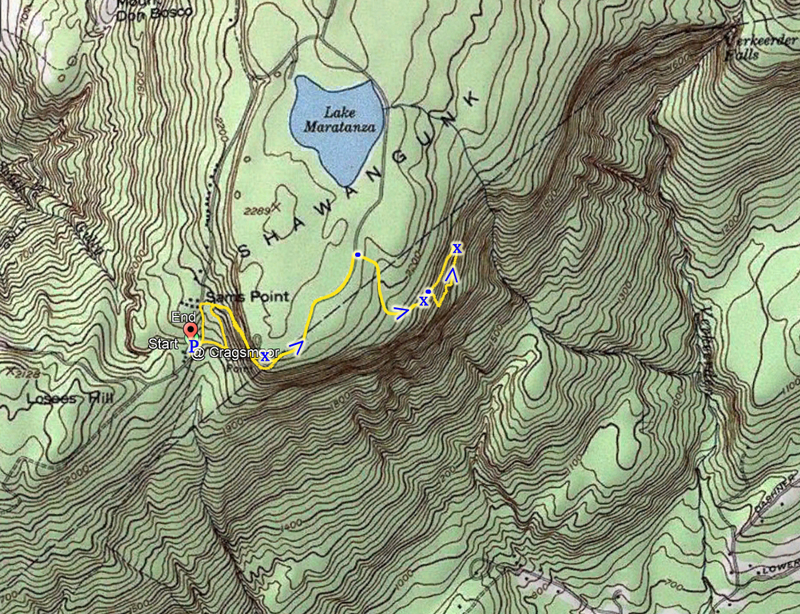 We took Sam's Point Road until the shortcut scramble right up to Sam's Point. Sam's Point has great views with excellent photo opportunities. We continued along Road, and veered off to at Ice Caves Road. 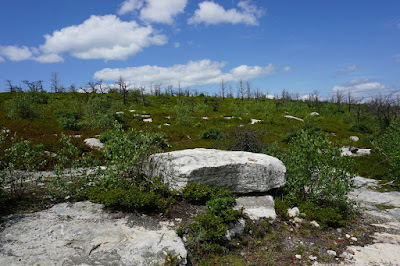 The sun was very strong and there was very little shade, but we did take some shade breaks off the path and pick blueberries and huckleberries, which were all over the place. We noticed much of the brush and trees were burned from a forest fire from the previous season. 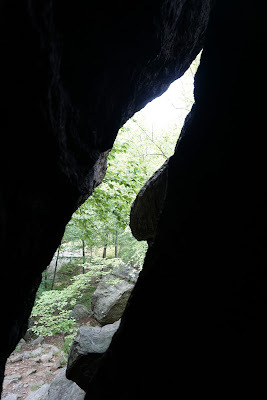 At the end of Ice Caves Road, we took the Ice Caves loop trail, through the ice caves and crevices. 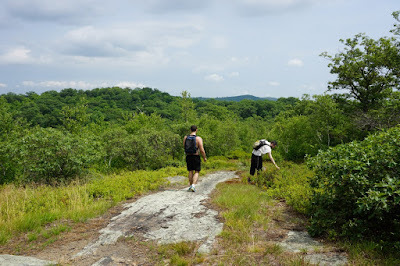 There was alot of water from all the rains and trail was very wet. There was still some ice present in the deepest cave. 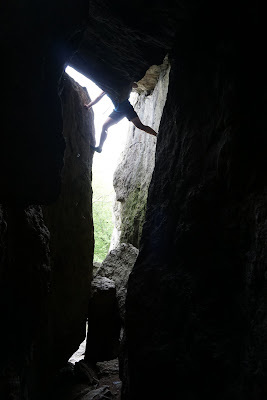 We then took took the Ice Caves Road back to the Loop Road past Sam's Point. 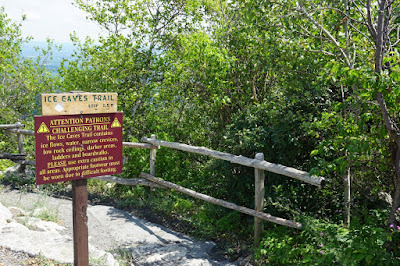 At the curve in the road we took an unmarked connection trail to the other side of the Loop Road back to the parking area. 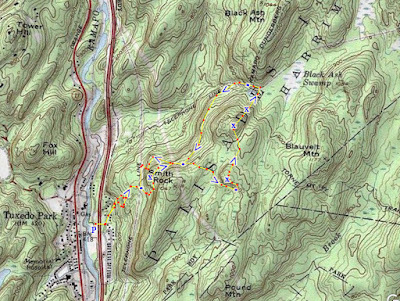 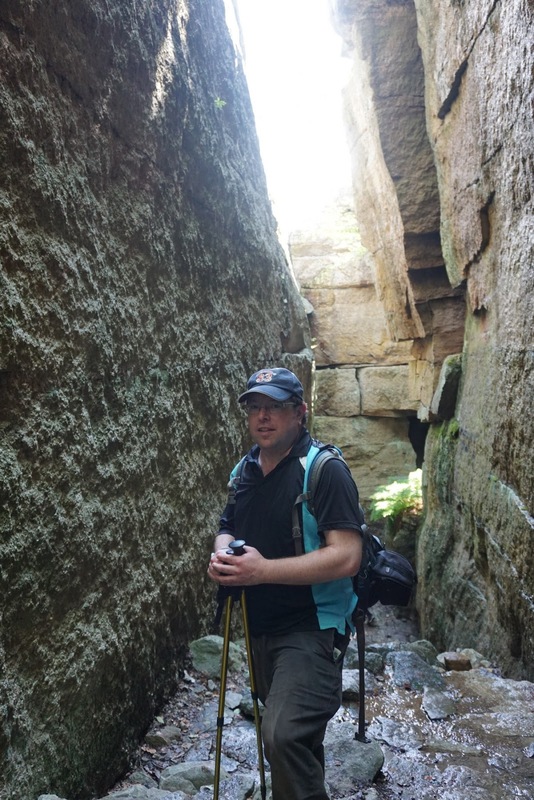 This hike was a training exercise with CommSAR, a community search and rescue organization, using navigation skills on electronic GPS devices. 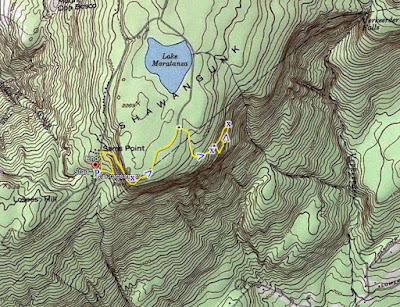 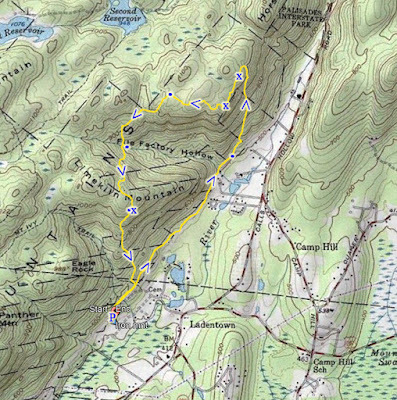 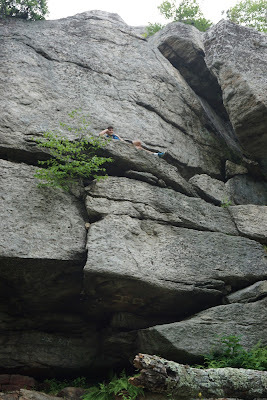 We followed the route based on the command instructions of where to hike and what to climb based on our coordinates. 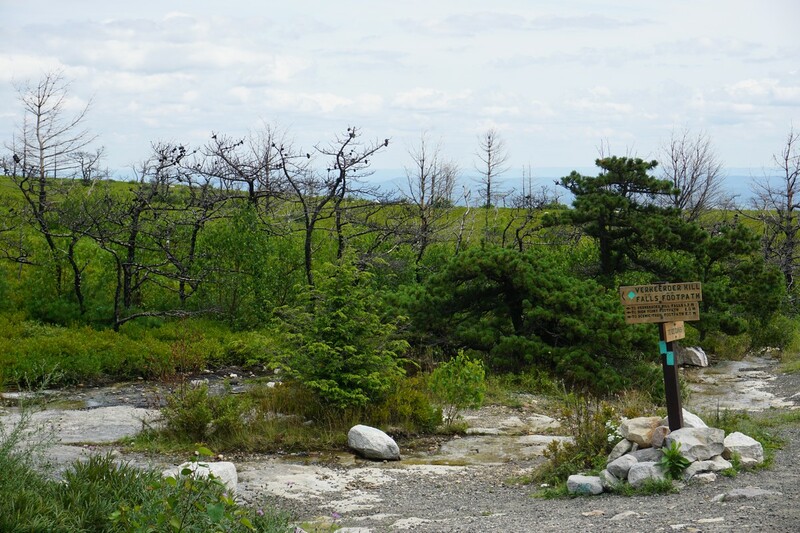 The weather was very poor. It had been raining in the morning and was still hazy and very humid. 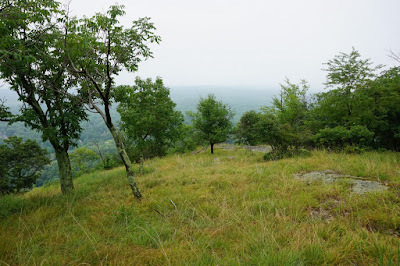 There was still rain predicted but it did not rain for us. 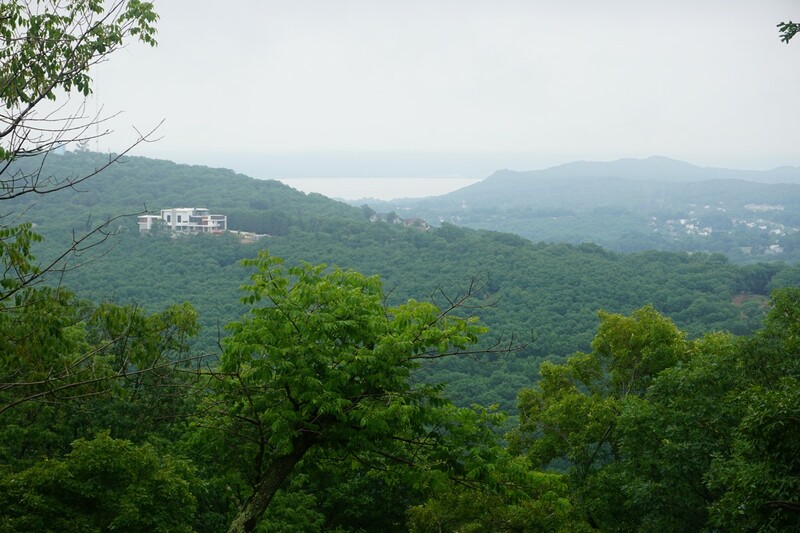 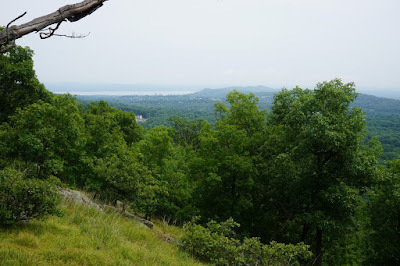 However, the muggy weather made conditions very uncomfortable and marred the views. We parked at the Diltzes Road parking trailhead, at the beginning of the T-MI Trail. We took the T-MI Trail briefly along the Gas Line Trail, and then continued along the Gas Line Trail after it seperated from the T-MI Trail. 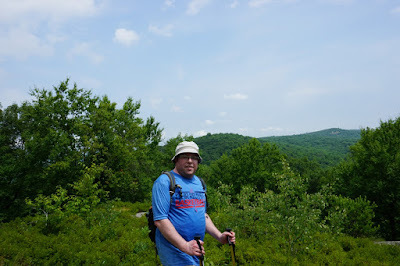 We then took the Iron Mountain Trail, which is an unblazed trail but is fairly easy to follow, as it steadily ascended the mountain along the side of the ridge. At the top where the trail bends towards the view, the trail is no longer easily discernable, but it's straightforward to get to the view. 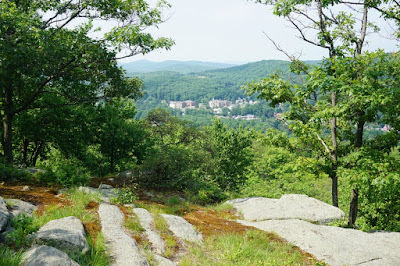 This is a great view looking over Cheescote Mountain and the huge house on the mountain. 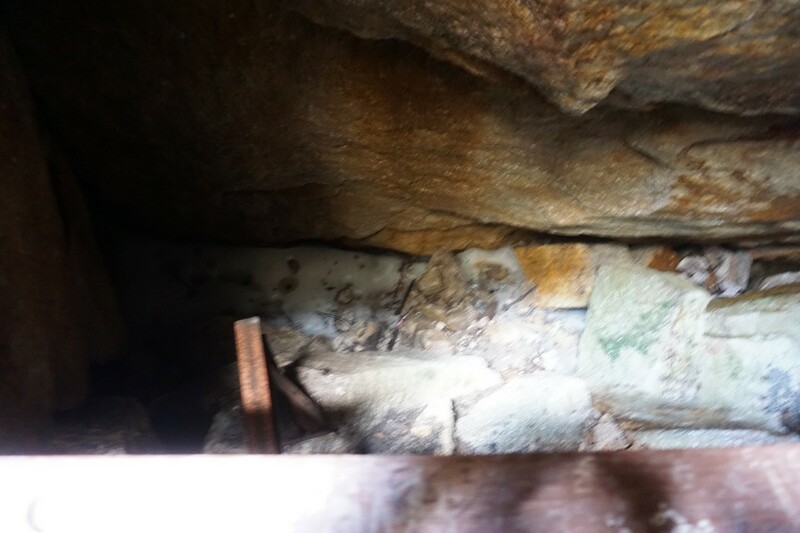 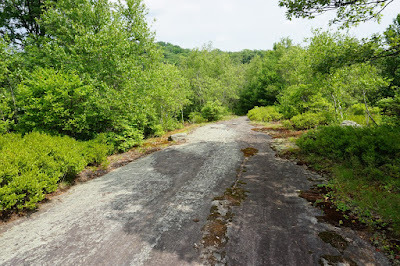 After the view, the trail is no longer discernible and requires bushwacking through blueberry and hucklberry bushes until the connector trail that goes to the File Factory Hollow. 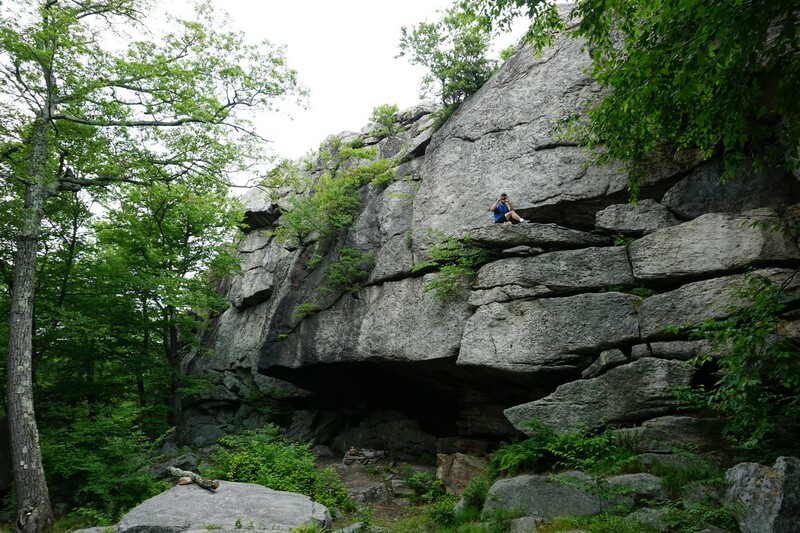 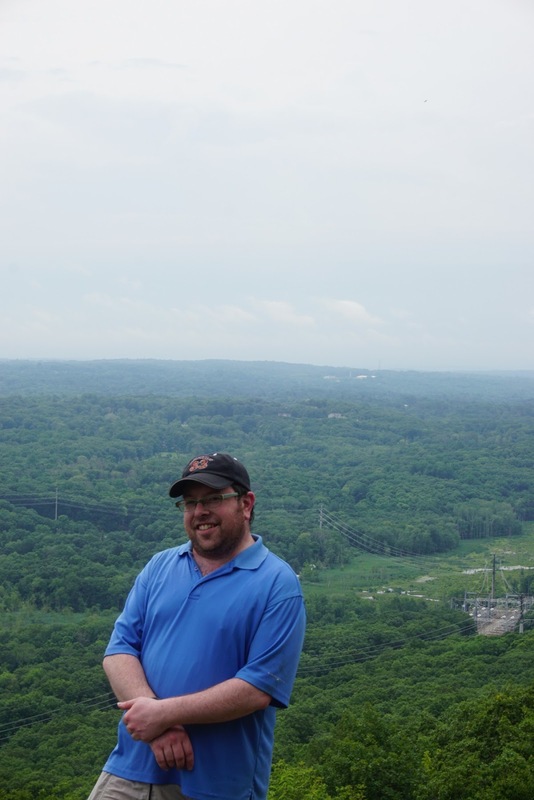 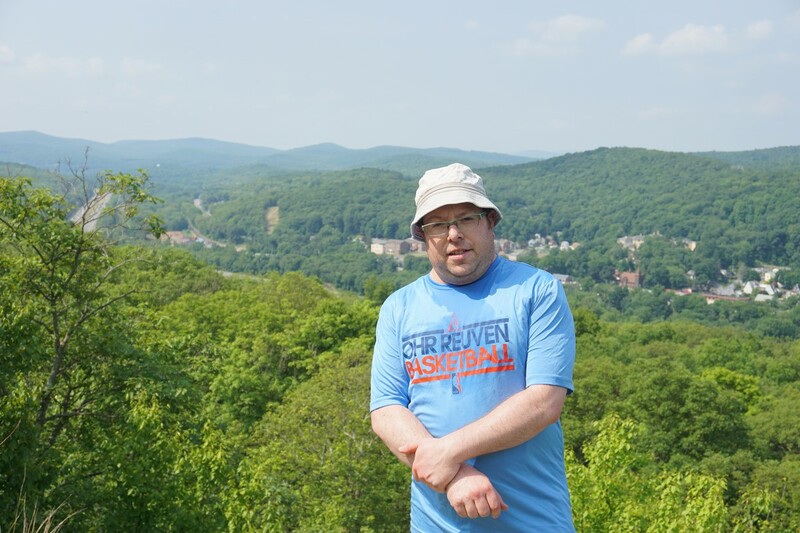 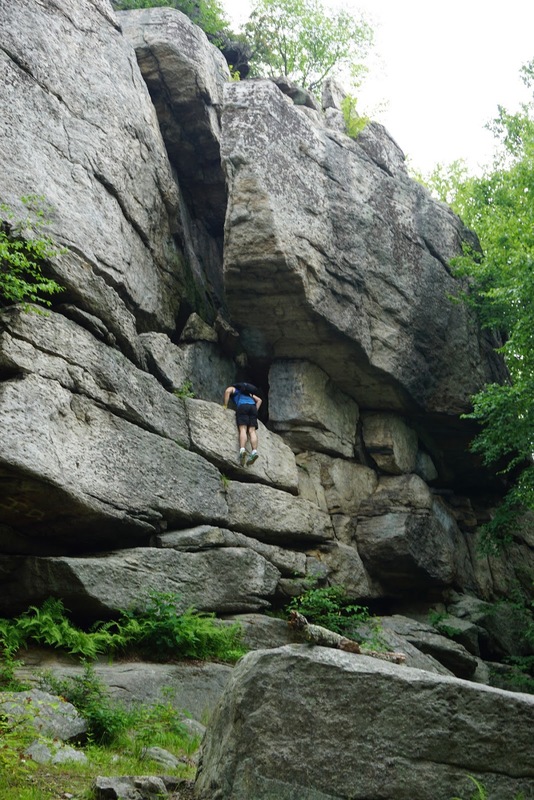 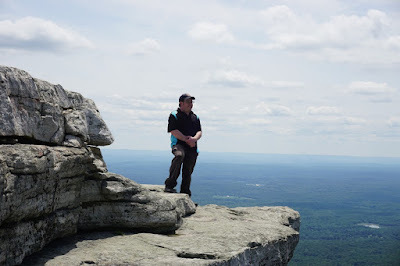 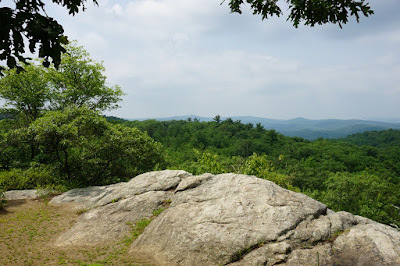 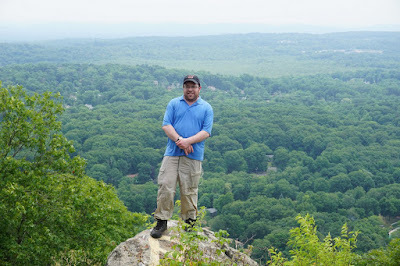 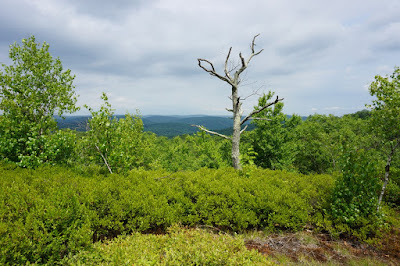 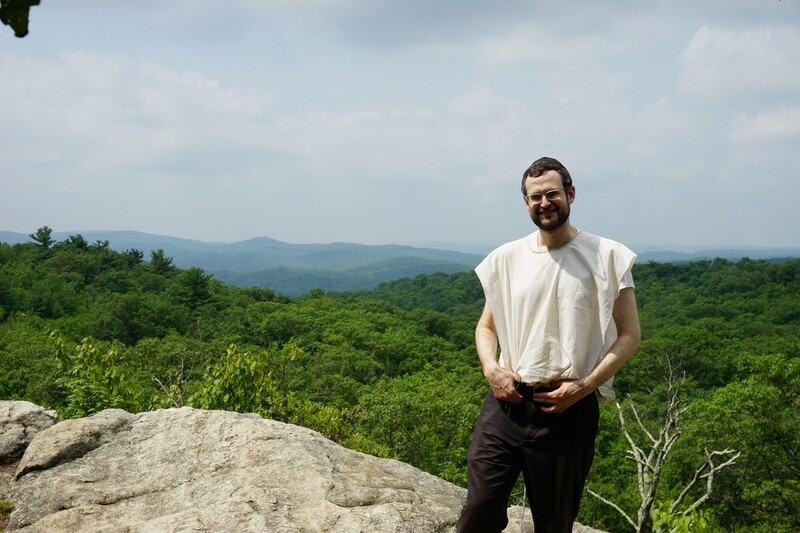 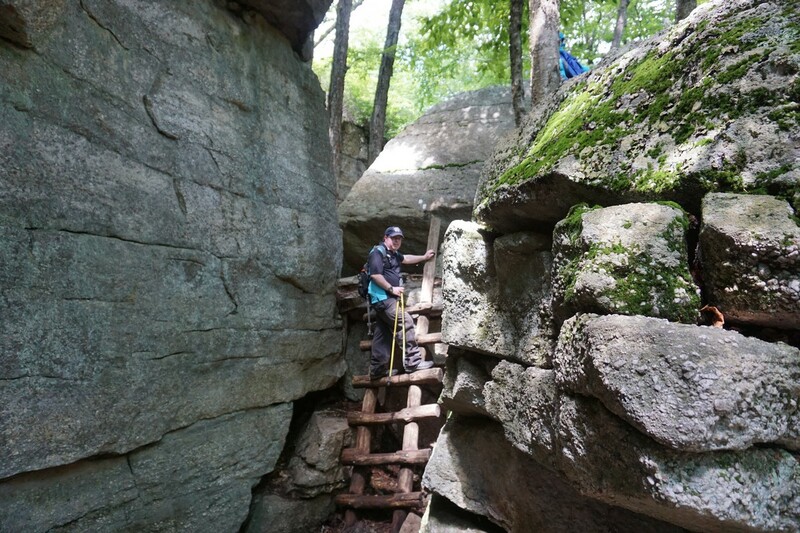 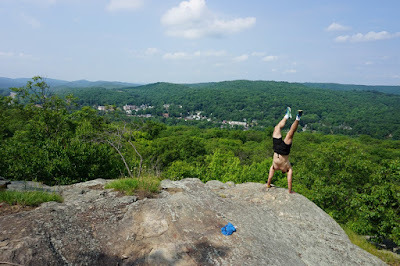 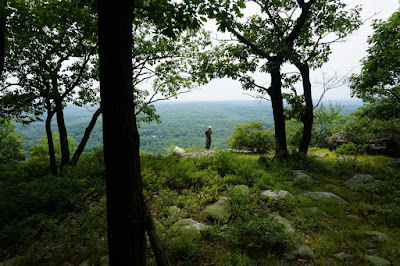 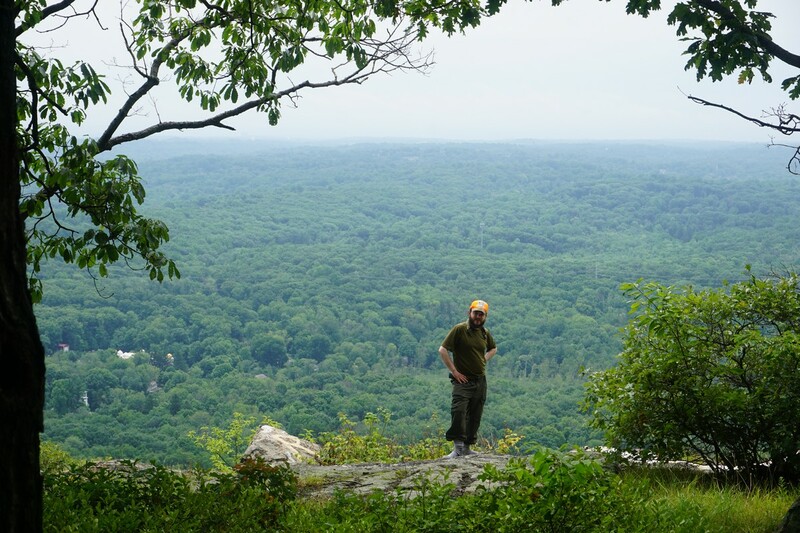 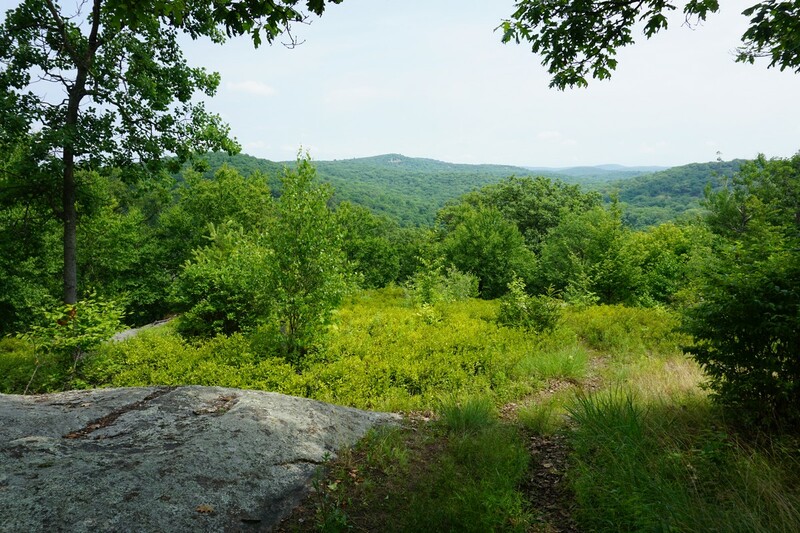 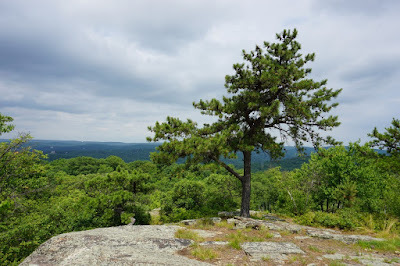 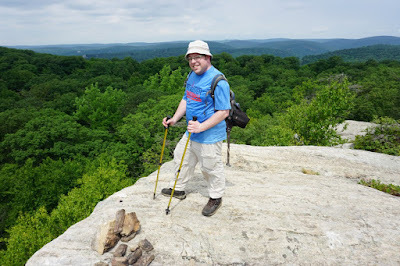 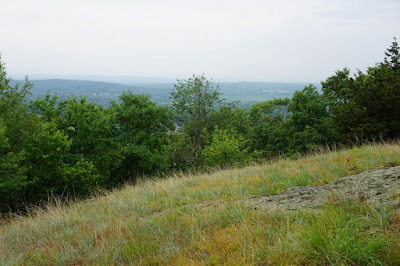 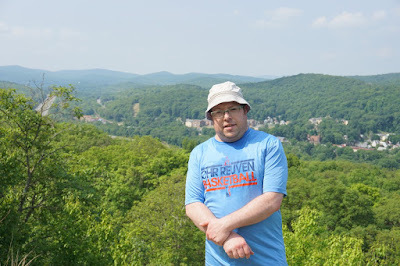 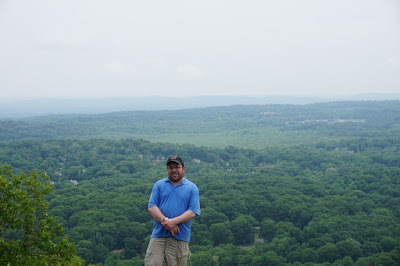 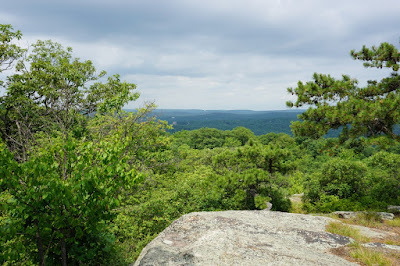 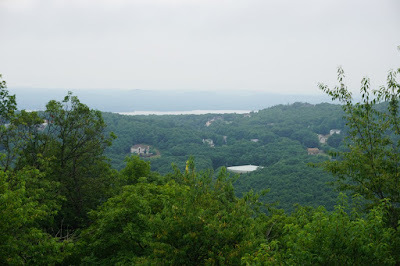 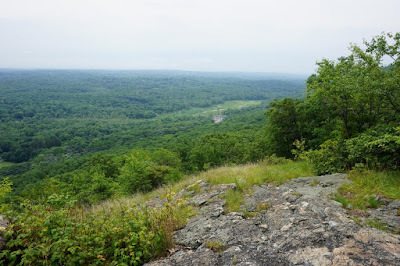 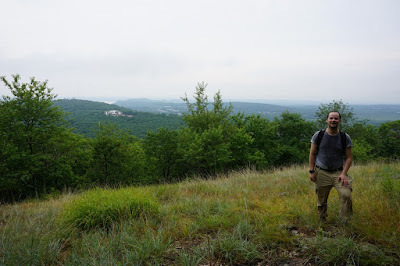 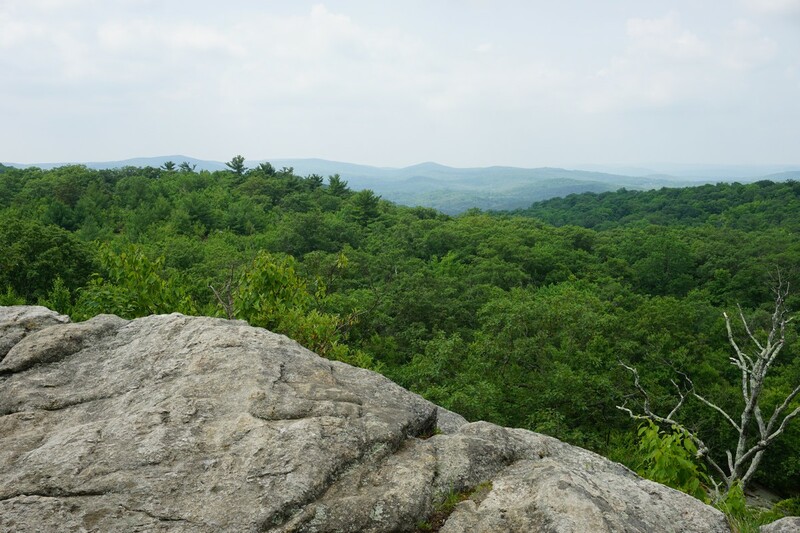 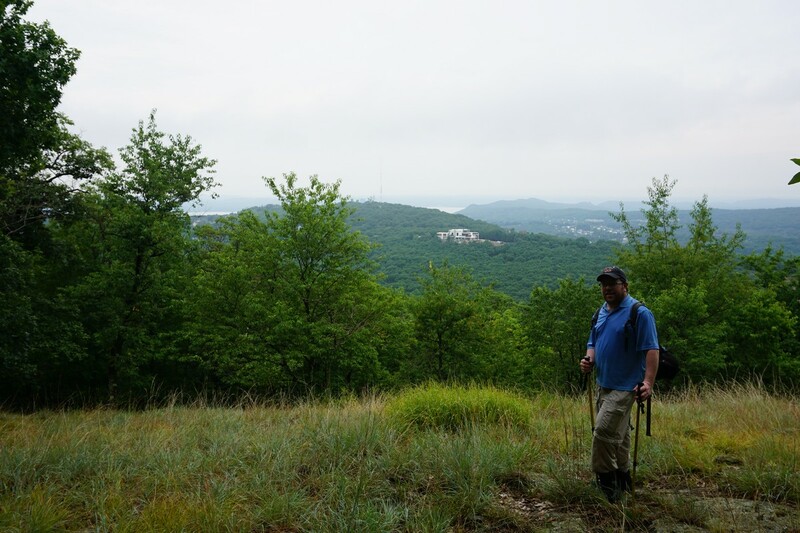 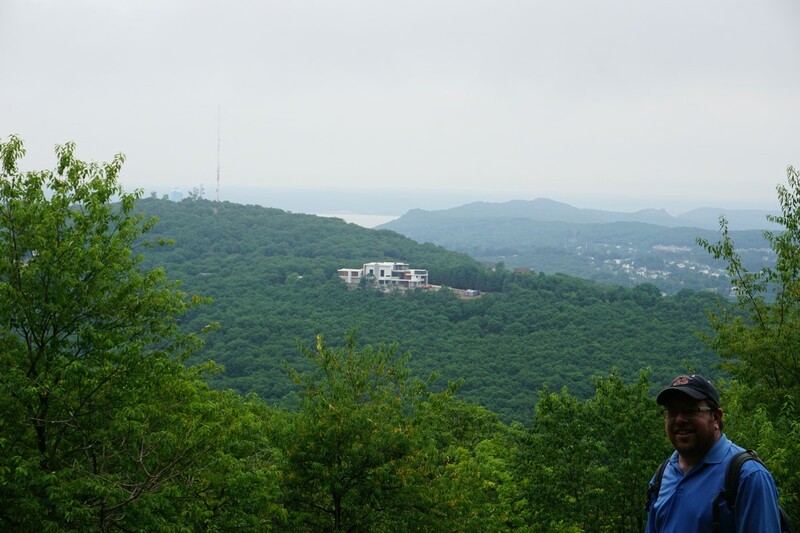 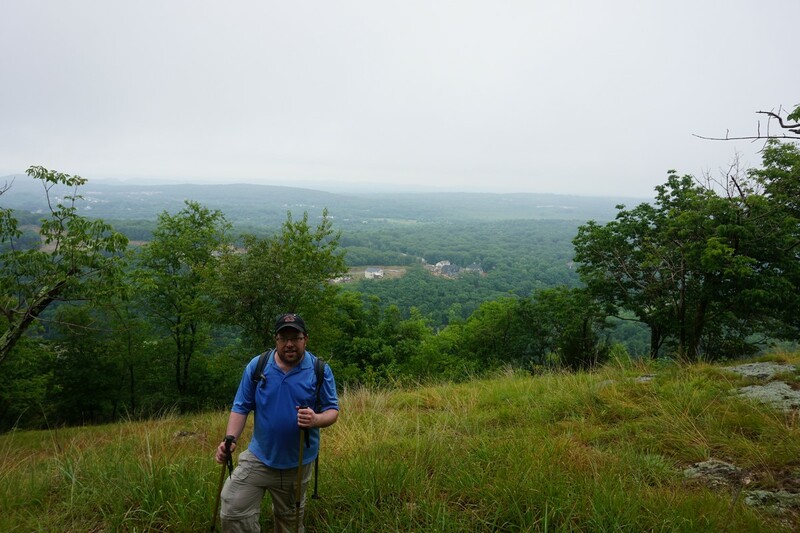 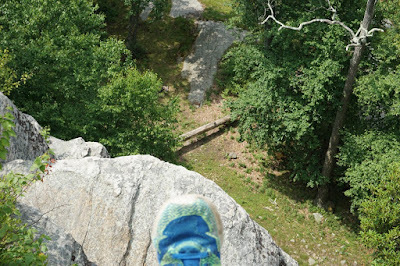 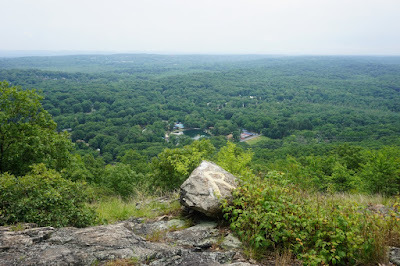 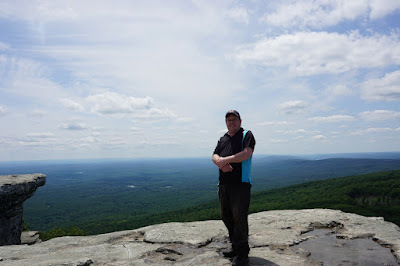 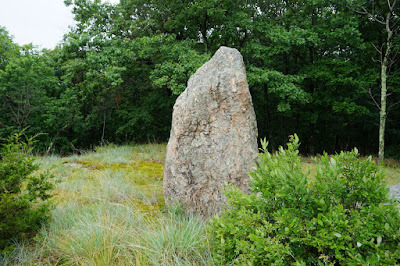 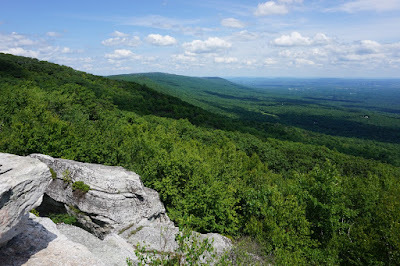 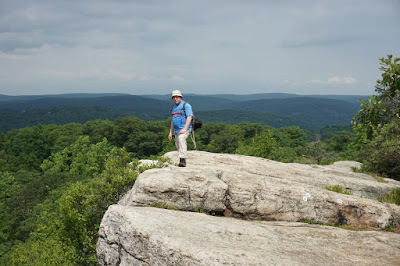 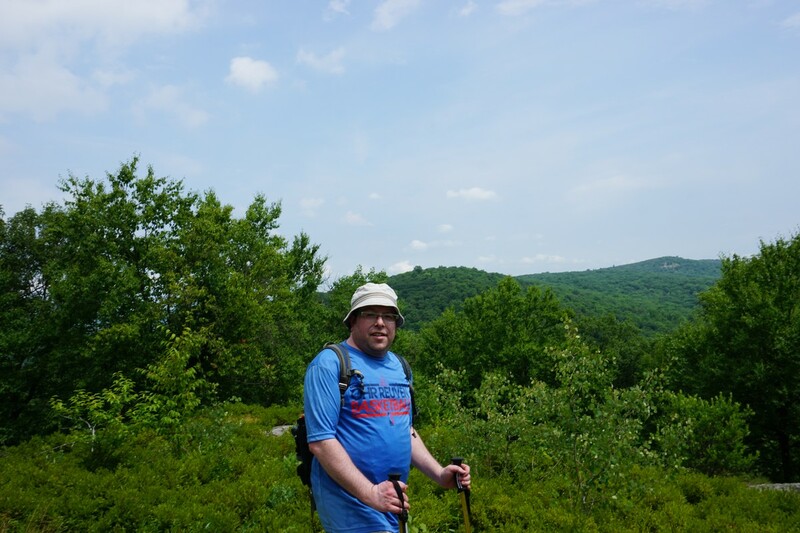 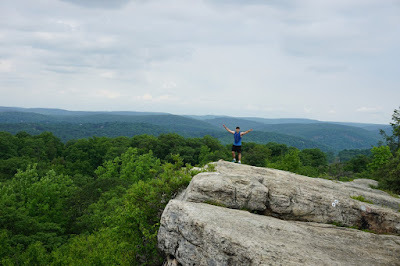 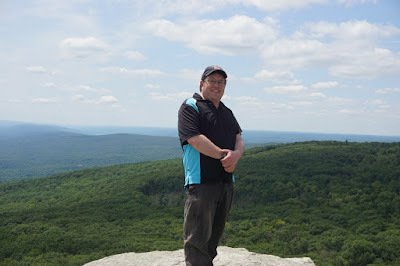 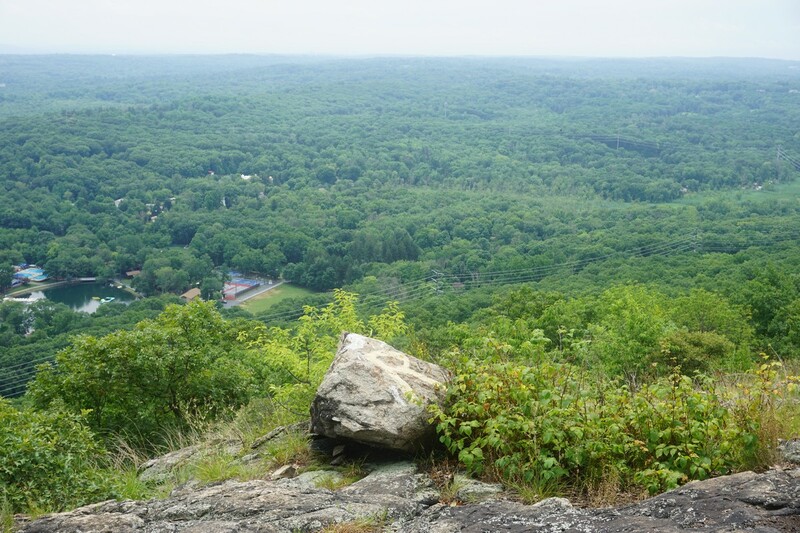 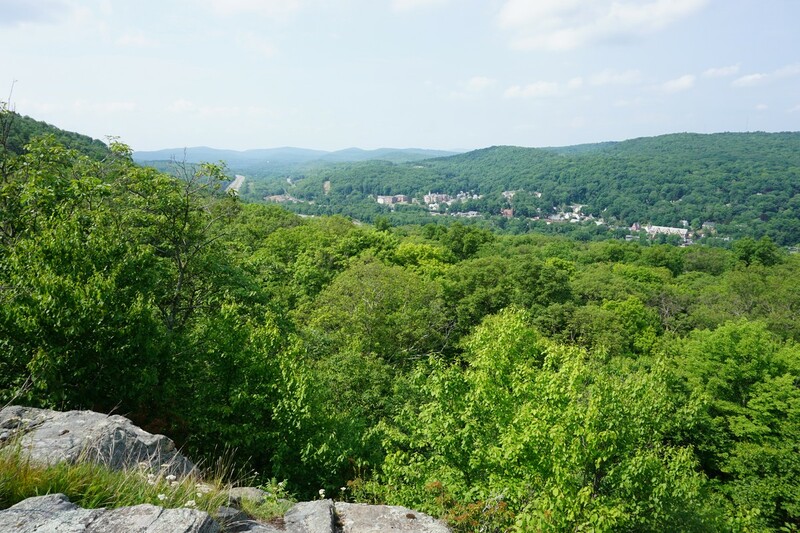 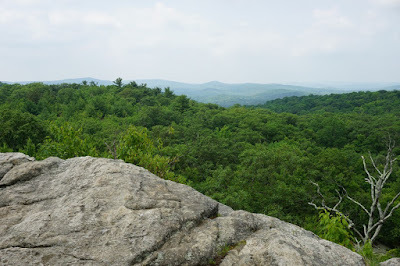 We took the connector trail to File Factory Hollow, and then bushwacked up Limekiln Mountain to the top view where we met Mordy Neuman at the summit view. 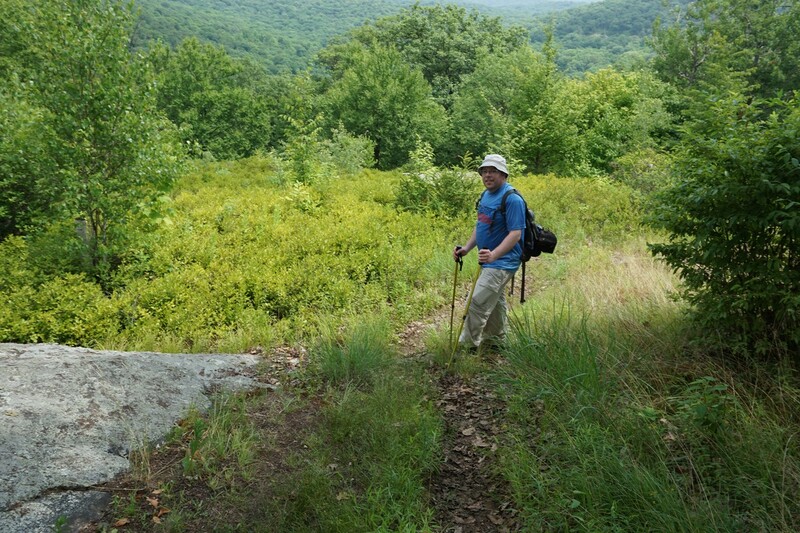 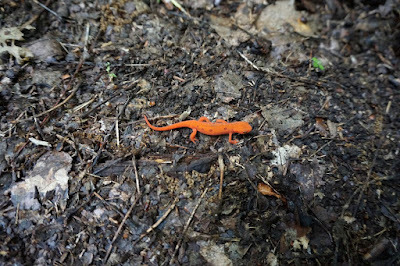 We then took the Limekiln Mountain trail down the mountain, back to the T-MI Trail, and then back to the trailhead. This was a beatiful summer day with a bright blue sky and seasonably warm temperatures. 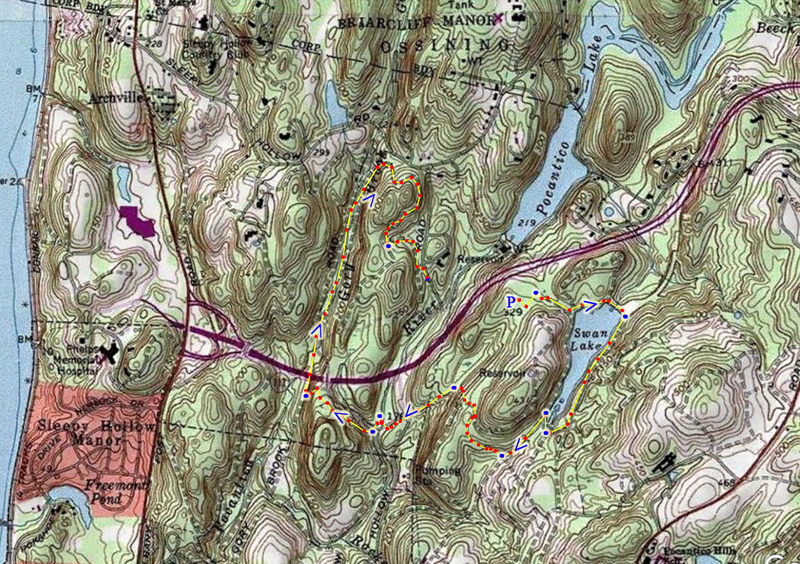 I hadn't been to this area in a long time, which features many carriage roads and wide trails. 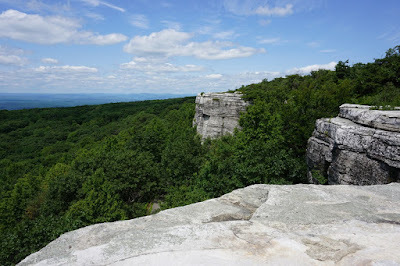 It is a very scenic area but doesn't really have good views or remote hikes. 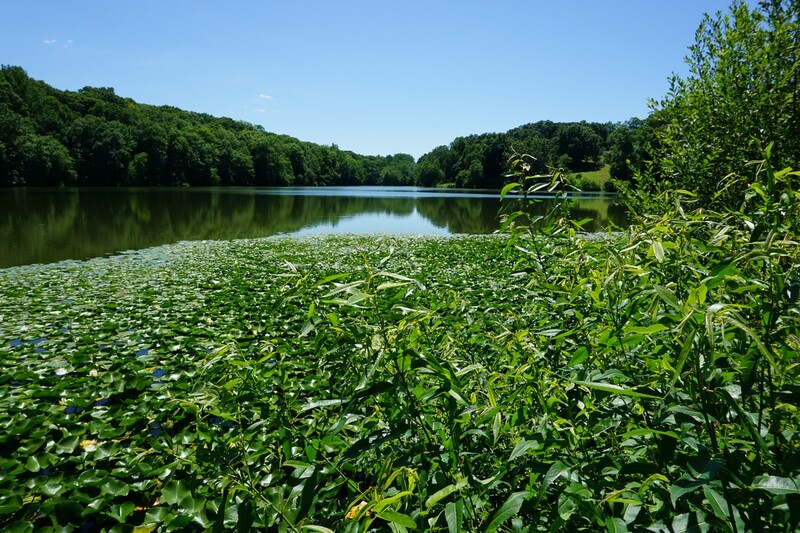 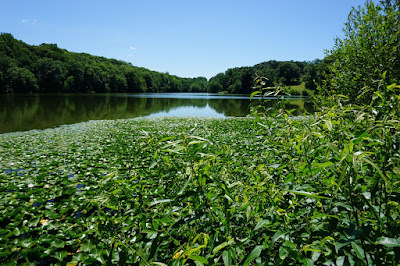 I parked in the main parking area, and took the Brothers' Path to the north side of Swan Lake, and then continued along that path to the eastern side of the lake. 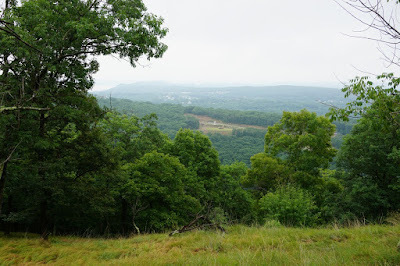 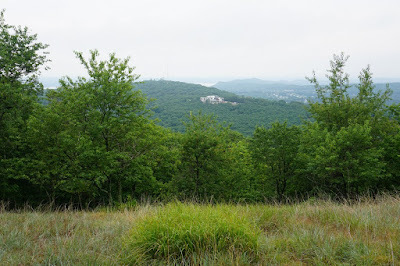 I then took the Farm Meadow Trail to the Ash Tree Loop, to the Overlook Trail. 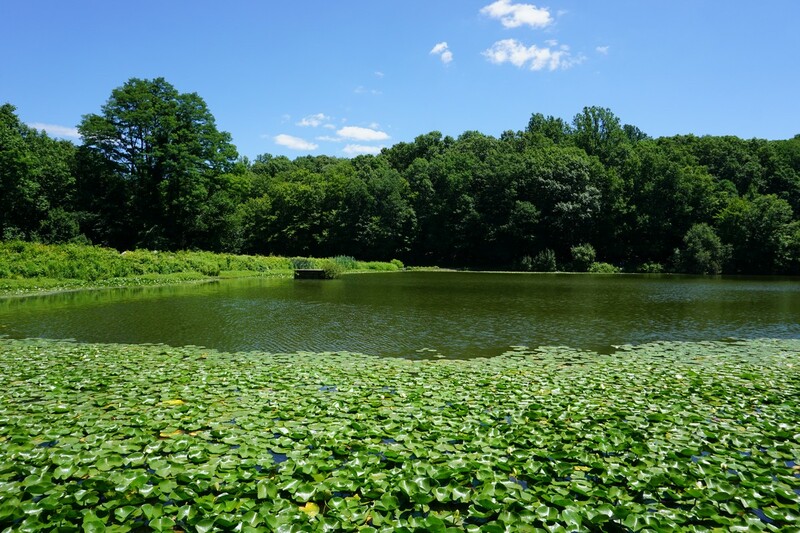 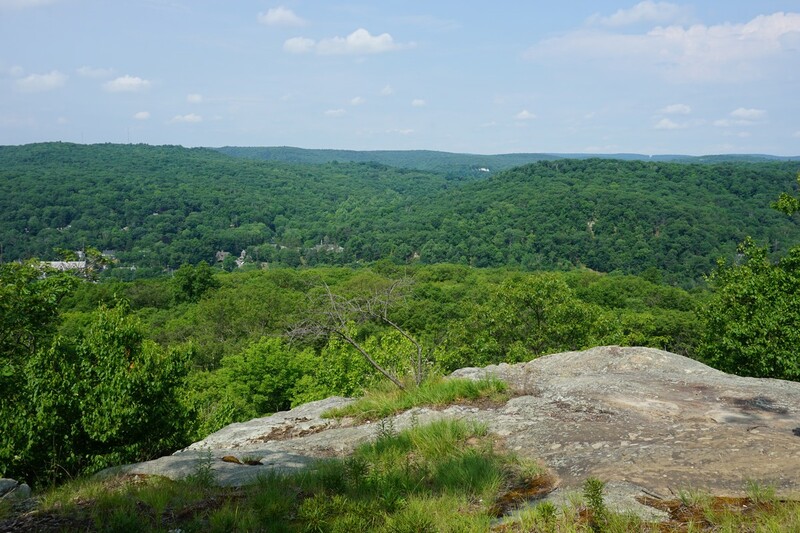 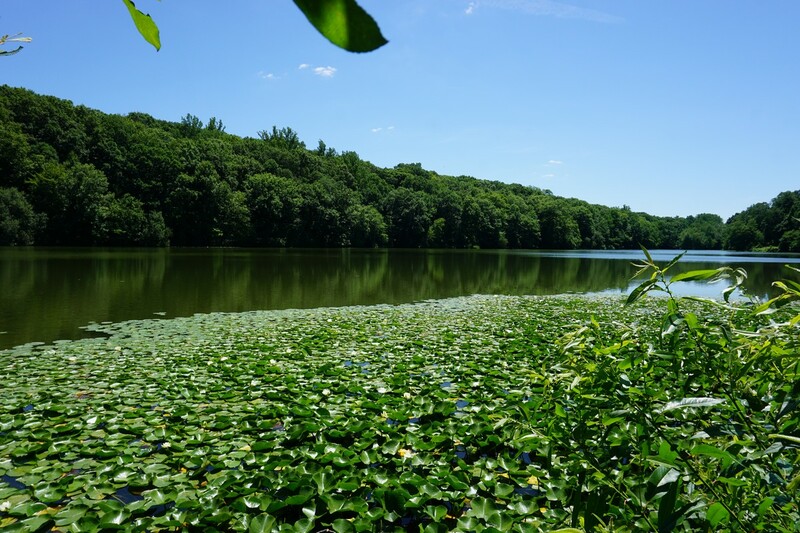 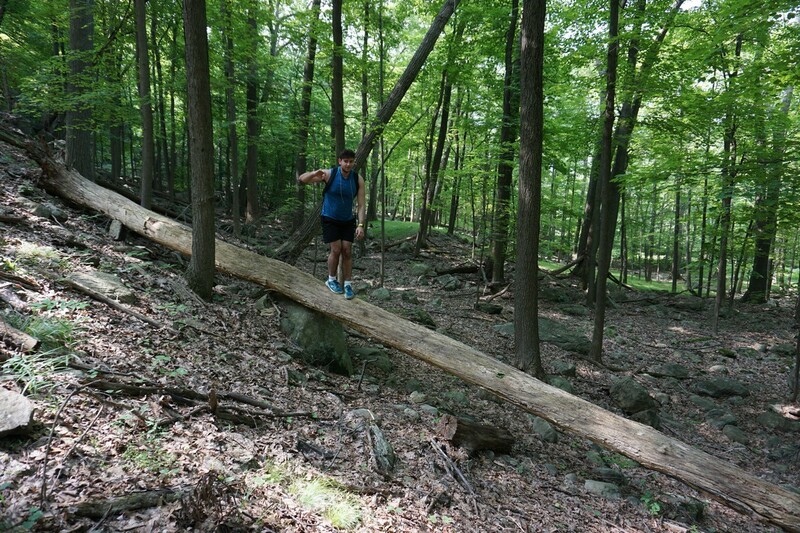 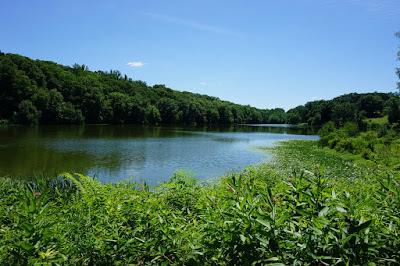 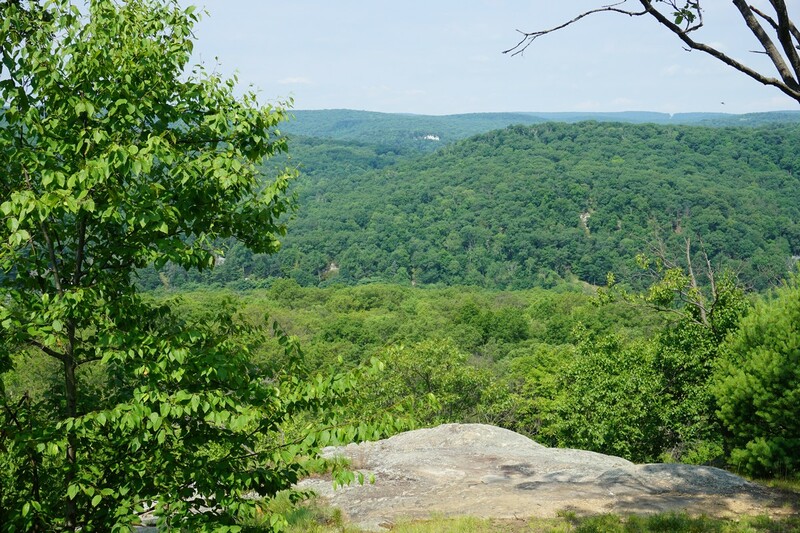 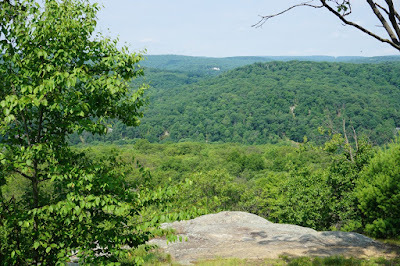 I then took the Old Sleepy Hollow Road Trail, crossing over the Old Sleepy Hollow Road, and then crossed the bridge over the Pocantico River, and then took the Eagle Hill Trail to the 13 Bridges Trail. I took the 13 Bridges Trail under highway 117 on an underpass, and continued along the trail alongside the brook which it crosses many times on small bridges. 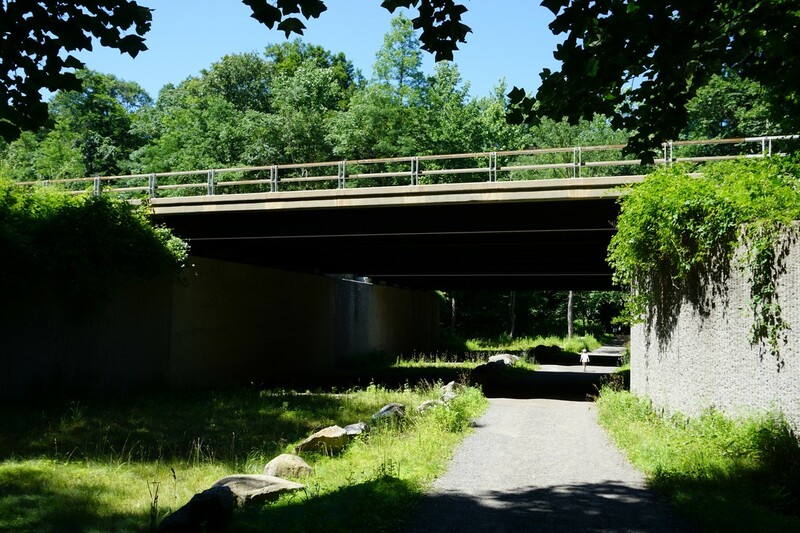 I then looped around and took the Pocantico River Trail to the corner of Old Sleepy Hollow Road and Old Sleepy Hollow Road extension, where I got a ride back to the entrance of the park. 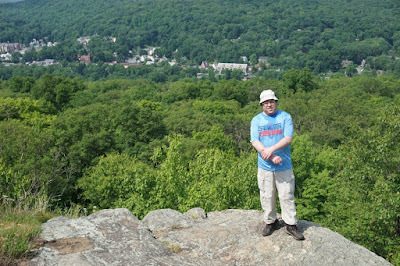 As I was off for July 4, I naturally took the oppurtunity for a hike. The weather had been extremely hot all week, with the previous Sunday being over 100 degrees earlier in the week. There was a heat advisory in the area, and in addition to being very hot was also oppresingly humid. 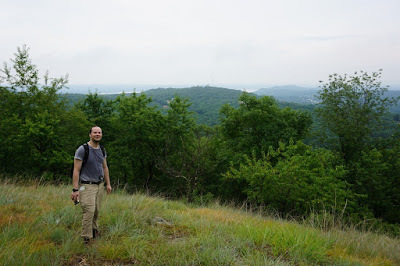 We parked at the R-D Trailhead right before the Thruway underpass, and walked along the road for a short distance to the trailhead. We took the trail up the climb to Smith Rock, a prominent overlook above Tuxedo, and then continued along to the TMI Trail to the Claudius Smith Den. We took the Blue Disc Trail up the Claudius Smith rock formation, although Morty climbed up through the cave formation. 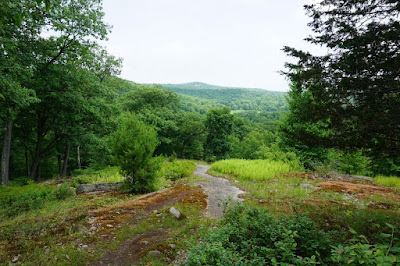 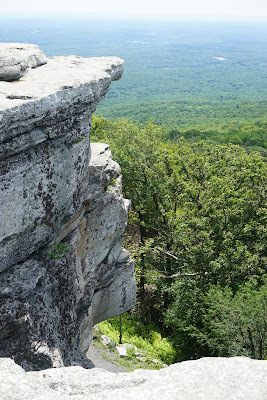 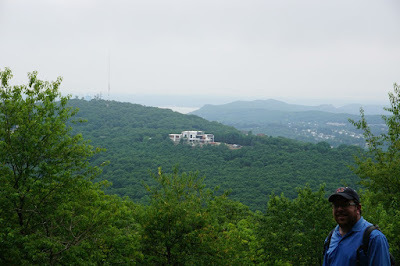 After the view, we continued along the Blue Disc Trail up to the top of Black Ash Mine Mountain, and then descended the mountain to the Black Ash Swamp across the natural rock dam at the outlet of the swamp. 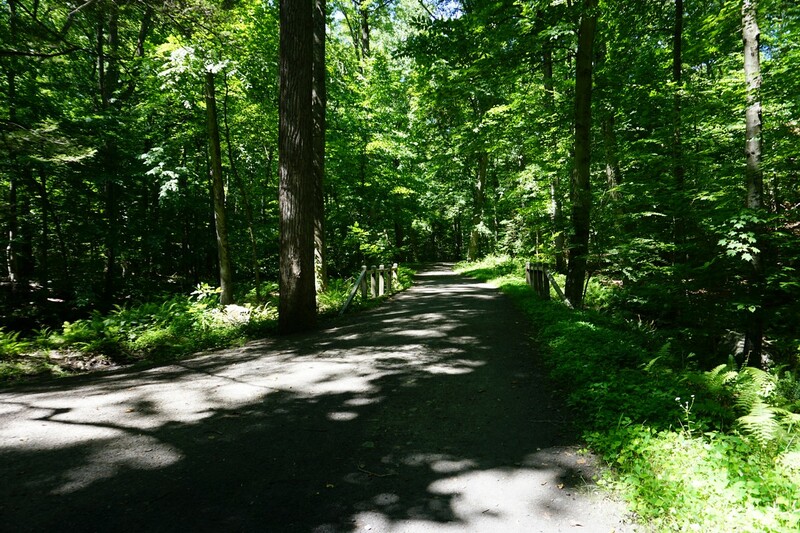 We then took the TMI Trail back around to the R-D Trail. 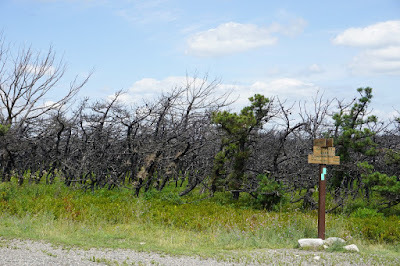 Instead of going back to Smith Rock, we took the old trail back and then bushwacked to the phone line trail, which we took back took the R-D Trail and back down the mountain and back to the trailhead. As we were finishing the hike, we heard the rumbles of thunder, with a strong thunderstorm approaching from the west. We made it in time though before the rain came. Descending the Blue Disc Trail, Looking Towards Parker Cabin Mnt.